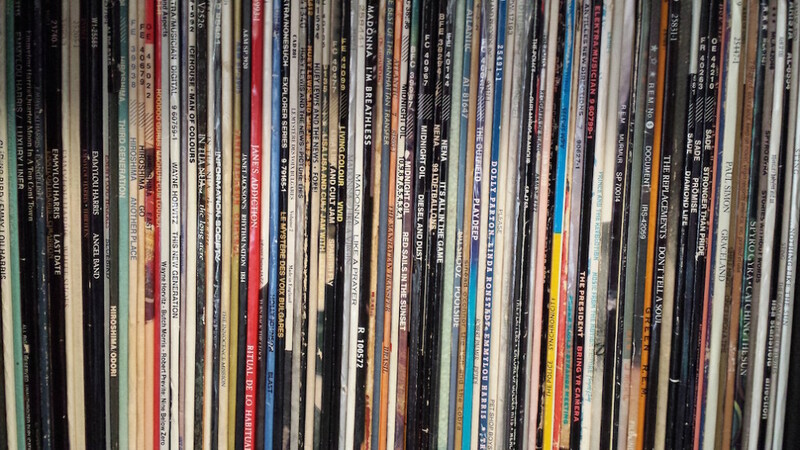 When I started collecting music, vinyl records were the medium of choice. Walkman players shifted that focus to pre-recorded cassette tapes for a short while before compact discs steamrolled over everything. I nearly joined the 21st century in forsaking physical formats till I bought a pair of decent speakers for my stereo system. Then I played a record from my old collection on that system, and a new obsession began. Records force listeners to interact physically with the act of listening. You have to care for records. You have to flip slides while playing them. You have to pay attention. Computer files can be strung together in hours-long stretches that effectively severs that personal connection. When I started collecting vinyl again in 2013, I focused on used copies of albums I could have bought as records but hadn’t discovered at the time. But slicing through the shrink wrap of an unopened record was an act I hadn’t experienced in more than 20 years, and something about it felt communal. So now I double down — if I really like an album, I’ll buy it on vinyl as well. For me, the vinyl purchase is the premium display of support, short of seeing a band live. I lived in New York City from 1992 to 1993 on an exchange program between the University of Hawaii and Hunter College. I had an internship at a classical record label. I saw Kronos Quartet twice. I went to Broadway shows I’d been craving to see since high school. And my first Duran Duran concert happened two weeks before the band released The Wedding Album. It makes me wonder what more I could have done if I had my 2016 income in 1992. I would probably be doing a lot of the same things. I’ve seen Kronos Quartet three times now, and my fifth Duran Duran concert happened in Puyallup. I went to see a production of Stephen Sondheim’s Assassins in March 2016, and I’m a subscriber of the symphony. Austin and Honolulu couldn’t fulfill my need for classical music the way Seattle does. It’s been more than 10 years since I’ve given up trying to be a tastemaker, and I’m glad to have yielded that responsibility, not that I was great at it. I used to have a vague clue about what’s popular, but I can’t even claim that any more. I don’t want to say I’m done exploring music, because every time I think I’m done, I fall down yet another hole. I do, however, feel my tastes have settled down. I have my go-to genres, my go-to periods, my go-to artists. Just when I thought I was done cycling through niches, I found one last rabbit hole into which I tumbled long and hard. The earliest days of this site owes its reputation to that period, but midway through the last decade, something broke. I remember the moment I was introduced to Cocco very well. 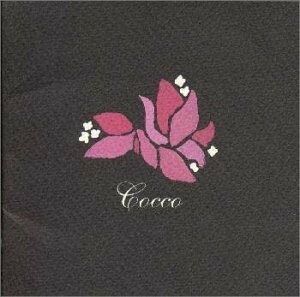 A co-worker was playing a Japan Nite sampler CD, and when it reached Cocco, I got up from my desk to find out who was singing. Here was someone who could have gone the easy route and sing anime theme songs. Instead, a wail of grunge guitars backed her. It was the Japanese rock for which I was searching. The office sent me to cover SXSW music events, and I volunteered to cover Japan Nite in 1999. That night introduced me to Missile Girl Scoot, eX-Girl and NUMBER GIRL. A trip home to Honolulu in 2000 led to Utada Hikaru, the brilliant green, L’Arc~en~Ciel and Shiina Ringo. Web sites covering Japanese music focused primarily on pop idols. I wanted to feature more of the rock music showcased at Japan Nite. So Musicwhore.org became a webzine to do just that. My rusty Japanese needed a lot of help from online tools, but over time, I got proficient enough to localize short news stories into English. I also used this site to hone my skills as a web software engineer, pulling together the articles I was writing with various discography services. Building the site from the ground up while also creating its content took its toll, and after five years, I pivoted to write more broadly about all the music that interested me. My favorite article from the Onion is “Lifelong Love Affair With Music Ends At Age 35“. In my case, it’s less satire and more biography. 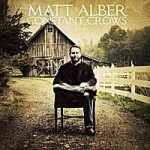 It takes a lot of work to be connected all the time, and in the heady music blog days of the mid-2000s, bands got deafening buzz from posting a single MP3 to MySpace, and then the focus would shift elsewhere before that band could make a second song. I just didn’t have the energy to trawl music sites in Japanese to find another band to fill the NUMBER GIRL void, and Western bands sounded too similar to what I grew up with to make a non-cranky judgement. So I retreated into catalog. One interesting side effect of the shift to downloads and streams is the rise of direct fan relationships with artists. Facebook and Twitter makes it easy to discover and connect with artists who don’t rely on a label for promotion and distribution. In an effort to find gay artists who played music more to my personal taste, I skimmed articles in gay publications and sites for leads, and a great majority of them sent me directly to an artist’s web presence. Similarly, I would follow opening acts at concerts if their performances impressed me. The label system lacks such transparency that the direct fan relationship feels a lot more pure. I know when I buy directly from Matt Alber, Sacha Sacket, Jarell Perry or Shaprece, they’re getting my cash, not the middle man. As my high school career drew to a close, I went off the rails because I couldn’t make sense of what my hormones were doing, so I channeled that insanity-making into my choice of music. I badly mimicked Björk at a time she could barely stay in tune herself. I made regular trips to the library to borrow anything on Nonesuch. I swore off radio and depended entirely on music magazines to determine what I listened to next. In 1993, the first alternative radio station launched in Honolulu, and seemingly overnight the music that put me on the outs with everyone was socially acceptable. Of course, my young, dumb reactionary self couldn’t abide by that. So while everyone was catching up with where I was five years earlier, I found ways to go further afield. Robotech was a huge hit in my household, probably the only thing on which the siblings in my family could agree. But when the home video market made it possible for anime to be released stateside, a whole world opened up, particularly J-Pop. 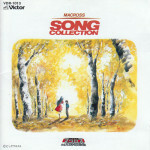 One of the first CDs I bought — and still own — is the Macross Song Collection. In fact, the first few CDs I bought were anime soundtracks — Megazone 23, Bubblegum Crisis and Akira. But the prohibitively expensive Japanese imports made exploration of J-pop economically unfeasible for a broke college student. As much I liked J-Pop, I still wanted something that something closer to the Replacements than Paula Abdul. Nonesuch’s release of John Zorn’s Naked City sent me down a rabbit hole of downtown New York jazz, but the independent nature of the scene guaranteed I wouldn’t track down a fraction of the recordings connected to it. Not from Honolulu, at least. So I concentrated on the major label artists I could access — Bill Frisell, Robin Holcomb and for a while, Wayne Horvitz. A political science class finally gave me Internet access, and a few pioneering sites attempted to connect music fans with rare recordings. I was ordering albums from the Internet even before Amazon launched. Clannad really took off after Volkswagen featured “Harry’s Game” in one of its commercials. 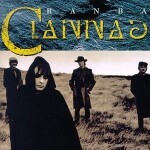 Enya laid some groundwork in introducing the beauty of the Irish language, but her siblings in Clannad took it further with their catalog of folk albums. I think this passing fascination wouldn’t have spiraled if it weren’t for USENET and a newsgroup called alt.music.celtic. This precursor to the web message board offered a few more recommendations, and I spent a good part of the mid-90s listening to Altan, Capercaillie and Talitha Mackenzie. Asylum Records sent an interview disc of Emmylou Harris and Daniel Lanois talking about the making of Wrecking Ball to the school newspaper where I was the features editor. I was familiar with Harris’ name but not her work, and I can’t say I was entirely open to covering country music. But Wrecking Ball wasn’t country, and it made me receptive to listen to Harris’ previous work. A year later, Warner Bros. released the Portraits boxed set, and I became a fan for life. I learned right away that Harris’ music bore little resemblance to the kind performed by Faith Hill, Tim McGraw and Shania Twain, and the country music I preferred drew its lineage from Uncle Tupelo. My college career concluded with an internship to the Austin American-Statesman and my first job out of college. The homegrown music scene focused mostly on Southern music — blues, country and its derivatives — but it had enough versatility to include a diverse rock scene. In my first years in Austin, I supported the likes of Asylum Street Spankers, 8 1/2 Souvenirs, the Kiss-Offs and Bruce Robison. Toward the end of my time in Austin, I became a fan of … And You Will Know Us by the Trail of Dead and Explosions in the Sky. This month, I turn 44. I’ve been collecting music for about 81 percent of that lifespan. I bought my first album when I was 8 years old. 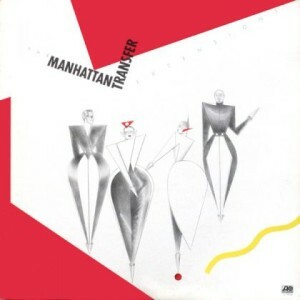 OK, it was my mom who caved into my whining about wanting that Manhattan Transfer album with the “Twilight Zone” song on it (Extensions, by the way.) She’s regretted it ever since. I think the last time she chided me for spending too much money on music was … three months ago? In college, the phases started to grow longer and overlap to the point that I though I outgrew them. In reality, I was just figuring out what kind of music sustained the dopamine rush. I kept those around while I explored other things. By then, I had figured out that anyone can like any style of music if you learn how to listen to it. When I got into post-punk music, my siblings hated being subjected to singers who couldn’t sing. They had been raised on a steady diet of radio pop and didn’t understand a lack of polish was exactly the point. So to commemorate this birthday month, we’ll explore the various phases that marked my history as a music fan, starting our first decade with the 1980s. I can’t say MTV influenced my music consumption because my parents didn’t subscribe to cable. 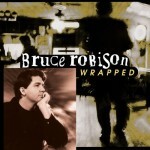 But network TV attempted to ride the music video coattails with such shows as Friday Night Videos and Prime Time Videos. It was music video that spurred my childhood interest in ABBA. 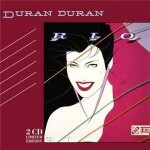 And it was music video that got me into Duran Duran, Eurythmics, ABC, Tears for Fears, Huey Lewis and the News and Sting. I preferred the more theatrical videos made by bands from England and Europe than the song-and-dance numbers of American bands. That steady diet of English bands set up an affinity for punk-influenced music that would set me at odds with my peer group. That didn’t stop me from trying to fit in. In 1986, I started high school, and I wanted to establish an identity different from the one I had in junior high and elementary school. So for a time, I was listening to Club Nouveau, L.A. Dream Team Lisa Lisa and Cult Jam and Janet Jackson. But my conscience eventually won out. Some of the most popular hits played on the radio weren’t songs I really liked on first listen, and repeated plays didn’t make them any better. And the popular kids with whom I was trying to ingratiate myself? Turns out I didn’t really like them all that much. In 1987, Hawaiian Electric Co. commissioned a pair of television ads featuring music by jazz fusion band Hiroshima. It was my first introduction to non-Western instruments, and I was fascinated. Hiroshima was a staple on a new radio format for light jazz and new age. Basia, Enya, Spyro Gyra, Hiroshima — all different styles of music unified by mood. It was a diversity I’d been craving. 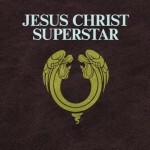 In my junior year of high school, my band instructor introduced me to Andrew Lloyd Webber and Jesus Christ Superstar. Around the same time, a television broadcast of Stephen Sondheim’s Sunday in the Park with George alternately bored and fascinated me. Jesus Christ Superstar led to Cats, Evita and The Phantom of the Opera, while Sunday in the Park with George was the springboard to Into the Woods, Sweeney Todd and A Little Night Music. Sondheim and Lloyd Webber pretty much allowed me to break rank entirely with everyone in high school. I no longer felt a need to fit in. I would explore music that interested me, and the more it confused my cohorts, the better. All throughout these years of exploration, I was taking piano lessons, but when I expressed interest in songwriting, those piano lessons became rudimentary lessons in music theory and composition. To take advantage of my large finger span, my teacher introduced me to works by Claude Debussy and Aram Khachaturian. My dad also took a music appreciation course at a community college, and I used his textbook, Music: An Appreciation by Roger Kamien, as bathroom reading. Over time, I absorbed the names of composers, the eras in which they lived and the forms of music they composed. The section on 20th Century Music fascinated me in particular. All these events came together when I ran across a description of Kronos Quartet in a music magazine, and my love for modern classical music was born. As my high school years drew to a close, a free magazine published by Tower Records, named Pulse!, became my bible. Pulse! introduced me to Ellen Taaffe Zwilich, Camper Van Beethoven, the Sugarcubes, the Replacements and Steve Reich. It published some of Adrian Tomine’s earliest comics, and one of its columnists spurred me to write about music. This blog owes a lot to Pulse! College would deepen my understanding of classical music, but when all the underground rock I was precociously consuming during high school became mainstream, I would find new ways to differentiate myself.